For educators t oday, increasing collaboration in the classroom is more important than ever. Holly Kerkes, 5th grade teacher at Heiman Elementary, recently showed us how she is utilizing the 21st Century Grant she received from The Success Foundation to increase collaboration among her students and all students at Heiman Elementary. Holly purchased a revolutionary new whiteboard product from mcSquares. The Broomfield, CO based company was established on the belief that every student has the ability to be creative and that effective collaboration is the key to innovation. mcSquares are hand-held whiteboards that easily snap together on a wall to create a larger collaborative system of whiteboards. During our visit, Holly and 4th grade teacher, Tiffany McCall, utilized the boards to facilitate a cross-grade level lesson on illustrative words. 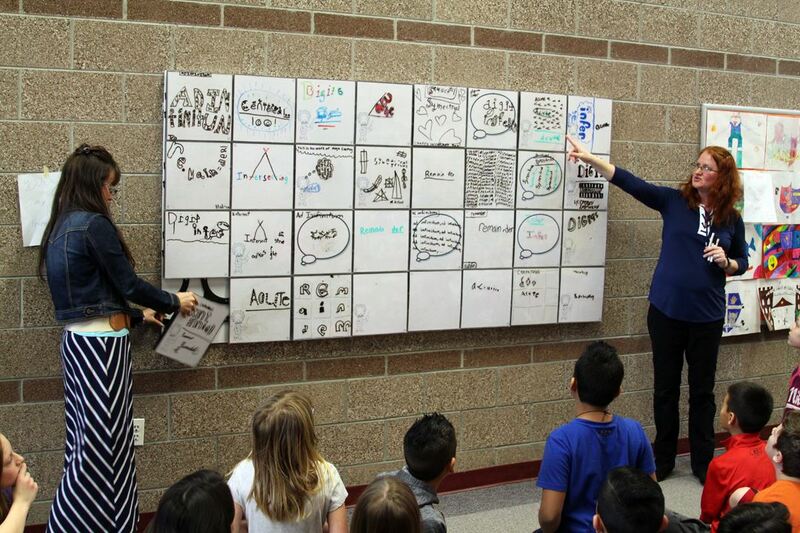 The design of the reconfigurable whiteboards allows all students to create their own answers and ideas on the smaller, hand-held squares without being overshadowed by more outgoing students. The smaller squares are then snapped together to make a larger whiteboard system creating an effective collaborative learning environment where students’ answers can be compared and contrasted. 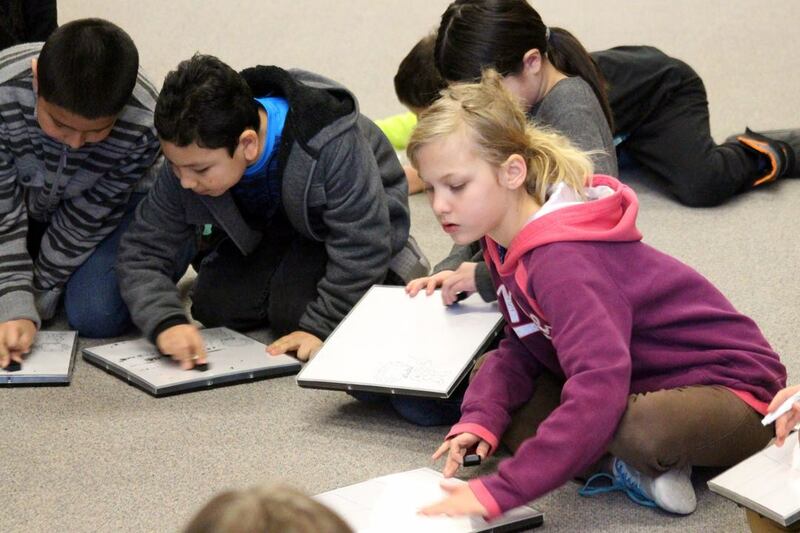 At Heiman Elementary, the mcSquares system is located in an open space so it is accessible to all teachers and students and can be used for all subject areas. The Success Foundation is excited to see that this grant has the ability to impact so many students and look forward to learning more about future lesson plans that incorporate art, math and science! Thank you again to our donors for supporting programs that enhance student experiences in District 6!